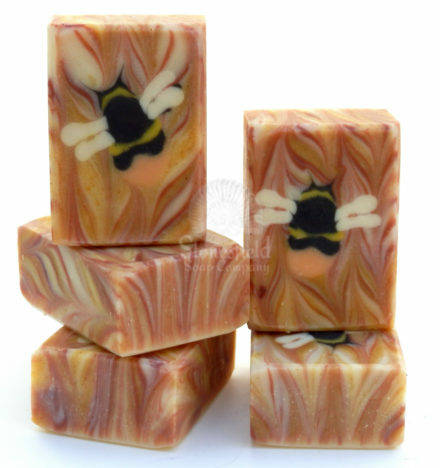 We will be continuing to support the work of the fabulous Bumblebee Conservation Trust this year with more of our Bumblebee Lucorum (the white-tailed bumblebee) and Bumblebee Monticola (the bilberry, or blaeberry, bumblebee) soaps. For each soap sold, a significant sum will be winging its way to the Trust. This is why we do not sell these soaps via retailers – less money would end up going to the BBCT. You will able to purchase them again, from mid-February onwards, from the website shop or from the fairs and markets we attend. Please bear in mind that we only have a small number of these soaps available at any one time, as they are very time-consuming to make. 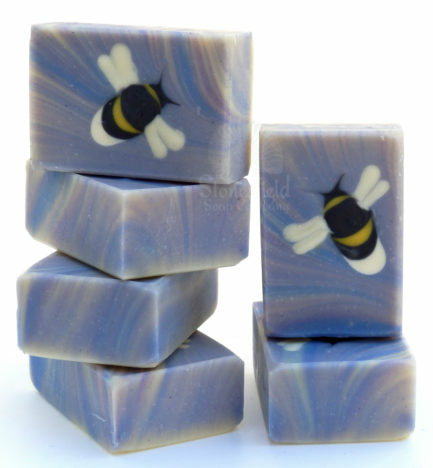 Bumblebee Monticola has a lovely citrus-patchouli aroma with a fiery background to set off the orange-tailed bilberry bumblebee, whereas Bumblebee Lucorum has a calming background reminiscent of the colour of lavender fields, its essential oil blend made to evoke the aroma of this beautiful flower.